Mmmmm…they are so beautiful. I would almost want to leave them as a centerpiece on my table instead of eating them up! lovely tomatoes and a beautiful colour combination! Very lovely, and very tasty tomatoes too. 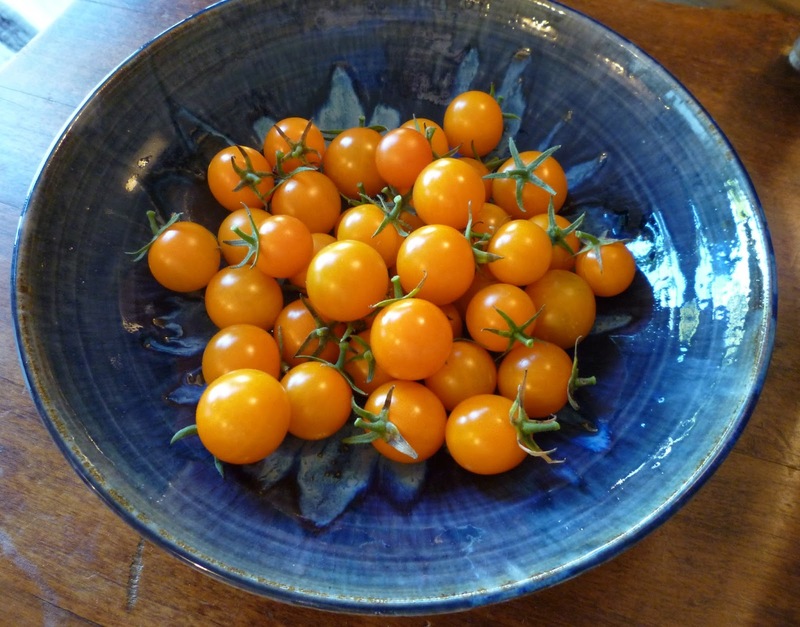 I'm enjoying our cherry tomatoes. They are sweet like candy. So pretty! I would pop them in my mouth. Oh, the best sort of art right here. Love that beautiful bowl!!! !